How much is a piece of plastic worth? We have a lot of plastic in our house. In fact I think we are probably solely responsible for the profits of the plastics companies. If our house was ever to catch fire I imagine that the environment agency would issue a health warning to nearby residents to stay indoors to avoid the plumes of toxic plastic smoke. 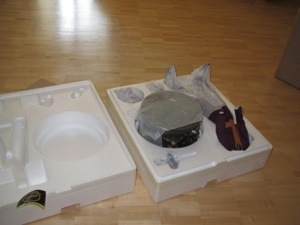 The one advantage of plastic toys is that they are usually just that – toys. They are sold in toy shops and supermarkets and usually very cheap. Ok we have to go through the rigmarole of finding the correct one, picking the one with the most perfect packaging, stopping the checkout assistant simply bashing them together into a bag and then get them home in one piece. 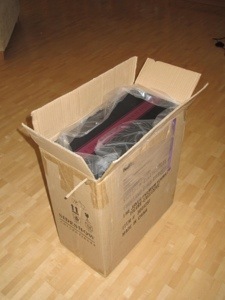 Ok Scifi hubby never opens the packaging and they live in stacks in his room. But plastic has the advantage that its cheap. Given the quantity that Scifi hubby buys this is a GOOD THING! 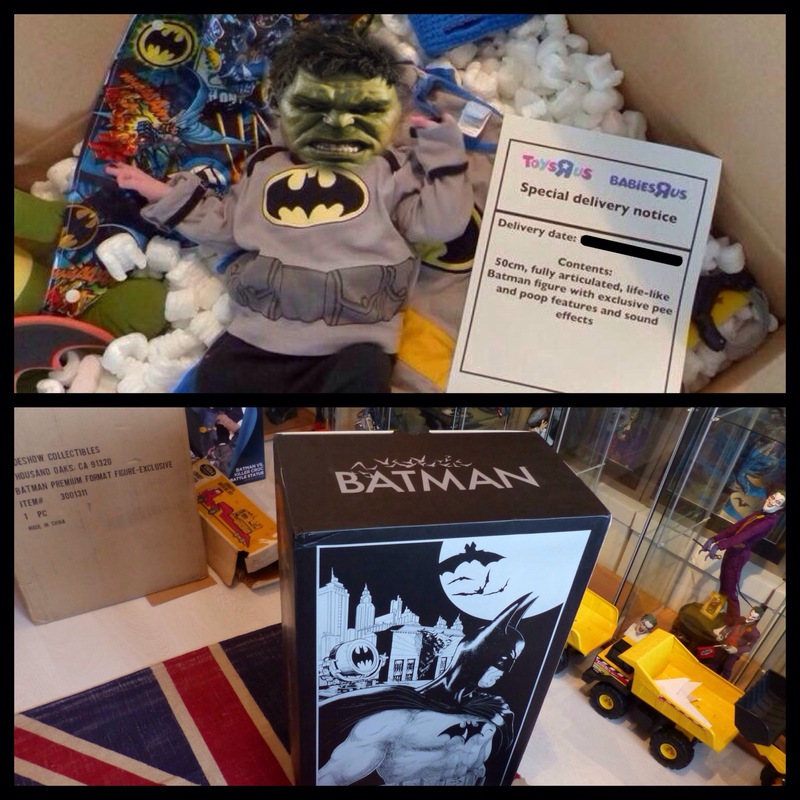 Some of the toy companies have always made collectors editions and we have a range of twelve inch Star Wars and Batman toys, but even the most expensive of these usually only cost £20-30. 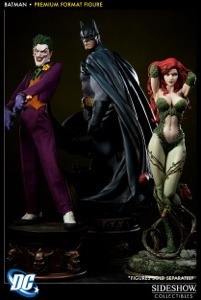 However, there’s now a few companies starting to make ‘toys’ specifically for the collectors market. They used to focus on statues but recently have started to produce plastic toys too. I can just about understand paying over £100 for a statue, after all they will last forever – assuming they don’t get dropped. I’m still not convinced that paying that kind of money for a plastic ‘toy’ is a good idea. 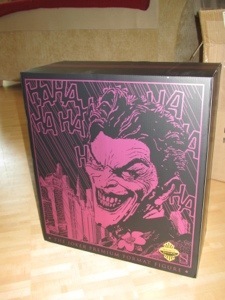 Luckily Scifi hubby agrees with me – or at least he did until Sideshow Collectibles announced their new Joker ‘collectible’. I admit it’s a good looking toy. Possibly one of the nicest I’ve seen. With a whole fabric wardrobe – yes Scifi hubby gets to play at dress up 🙂 But really $190? For plastic! The other annoying thing about these ‘toys’ is that there are only a limited number produced, and the first hundred usually come with something extra special in this case a pair of fish shaped guns (yes really). This brings a pressure to decide very quickly if you will buy it or not. They announce the figure and give pictures weeks before but you don’t know the price until the second that it goes on sale, and they usually sell out in minutes. This really doesn’t help my argument. It also doesn’t help that they are already for sale on eBay at much higher prices, even though they won’t be delivered until September. 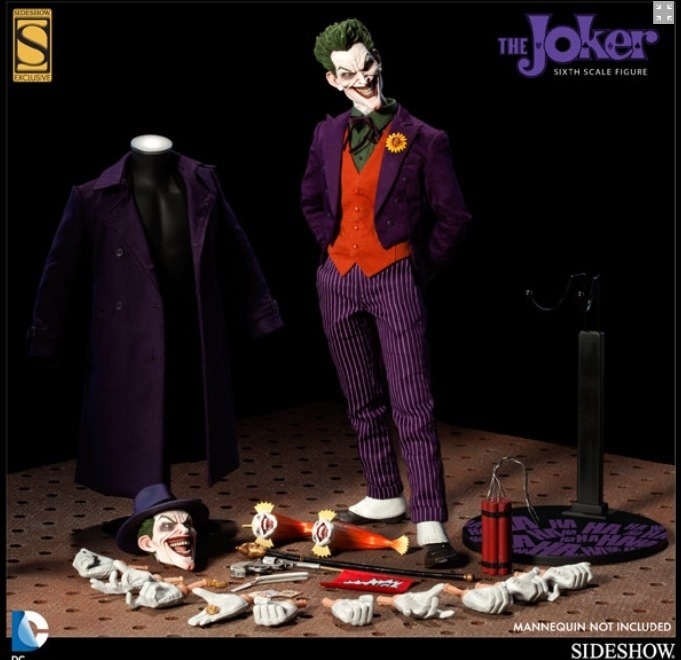 Suffice to say that come September we will be the proud owners of a plastic, Sideshow exclusive edition, sixth scale figure, Joker. Oh and it still hasn’t actually sold out. I once came home to find Scifi hubby washing his original plastic Star Wars toys in the sink as they had sweated in the heat and needed cooling down I wonder if, in ten years time, I will come home to find him washing this one? Scifi and hubby and I have been together for over 14 years. In that time we’ve gone from skint students to skint newly-weds to to skint first time homeowners to, finally, having a little money to have some fun. Interestingly the amount of money we’ve had at any given time has been clear in what scifi hubby has added to his collection. 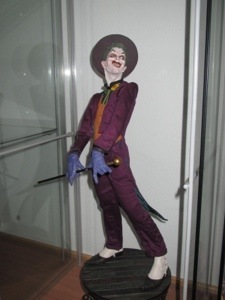 I’m told that Sideshow Collectibeles are THE statues to have and worth their ridiculous cost. I remain to be convinced about that but Scifi hubby is super excited that his first one has arrived. It’s partly how good it looks (and that I can agree with) and partly that we can at last afford to buy at least some of the things he’s always wanted. Now we’ve just got to wait for his two friends to arrive.